Coryphantha odorata f. variegata hort. Cumarinia odorata f. variegata hort. 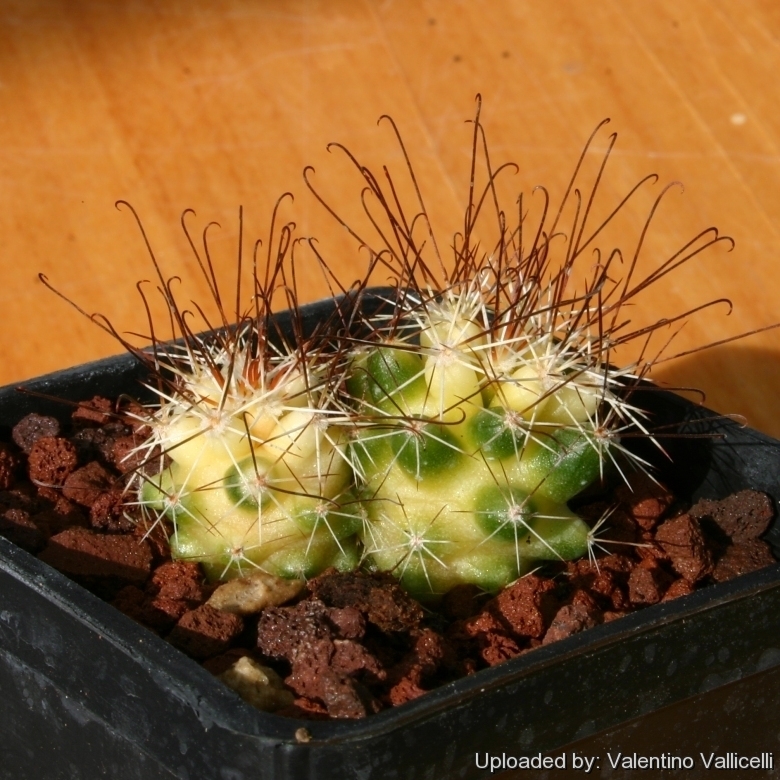 Description: Coryphantha odorata is a small clustering cactus which clusters at an early age. The forma variegata has sectors, patches or stripes with pale yellow colours, even distinct shades of green. Plants with variegated stems are often attractive and highly prized. Because the variegation is due to the presence of two kinds of plant tissue, propagating the plant must be by a vegetative method of propagation that preserves both types of tissue in relation to each other. Stem: Globose or elonged up to 4 cm tall, up to 3 cm in diameter. Tubercles: Cylindrical, soft 1 cm long with hairy axils. There is a shallow groove on the upper part. Flowers: Diurnal, small, 1,2 cm in diameter, 1,5 cm long, yellowish pink in appreciable numbers at an early age.